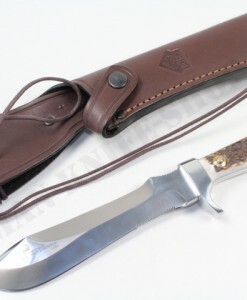 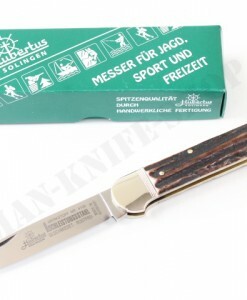 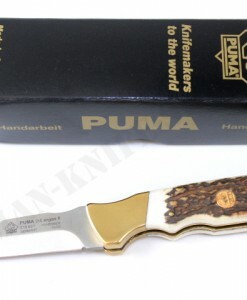 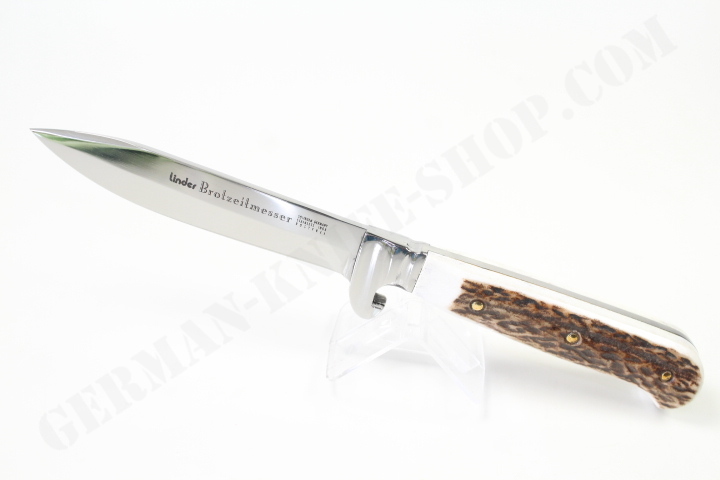 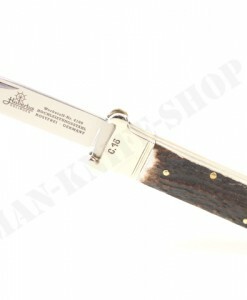 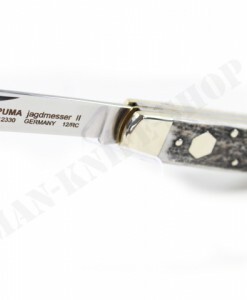 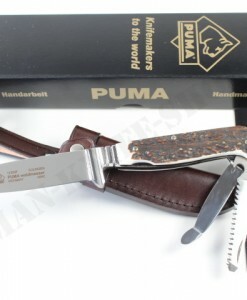 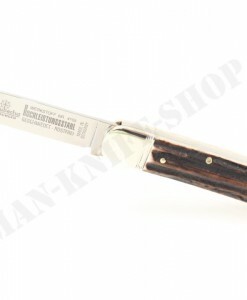 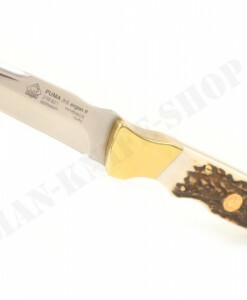 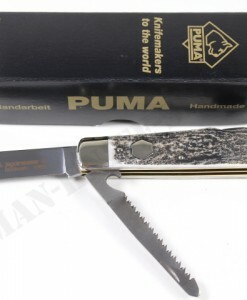 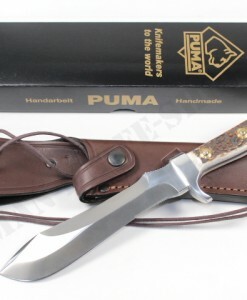 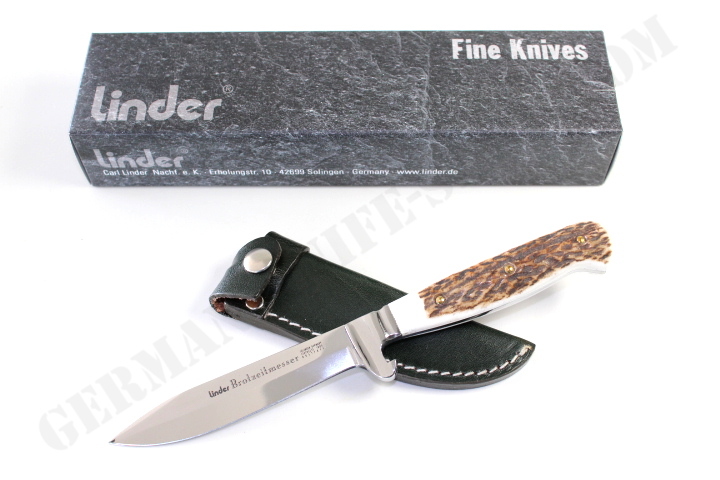 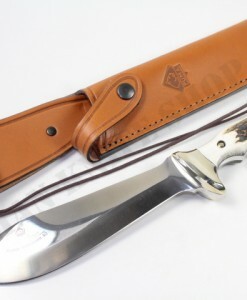 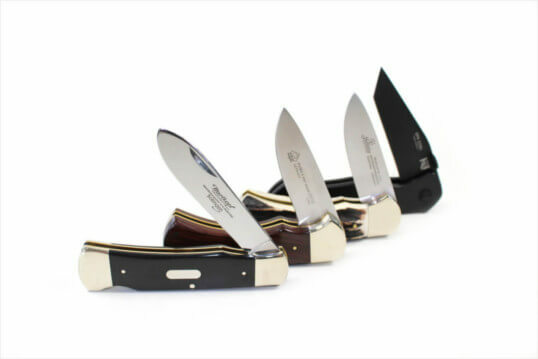 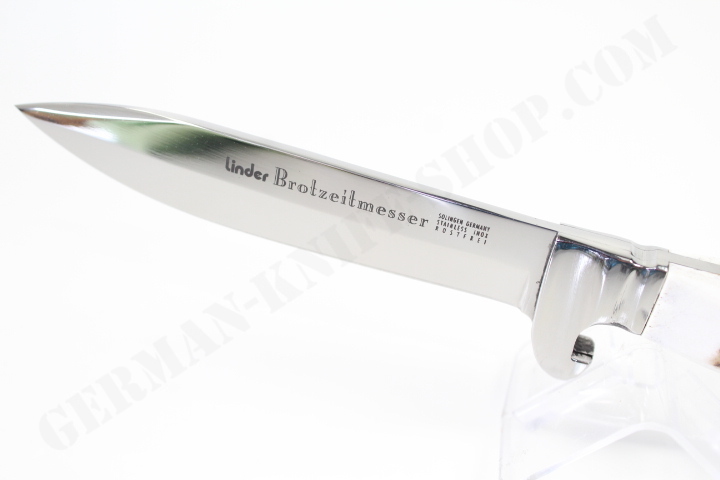 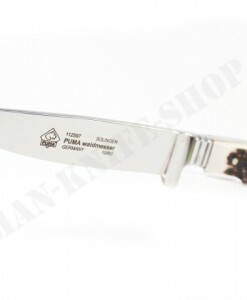 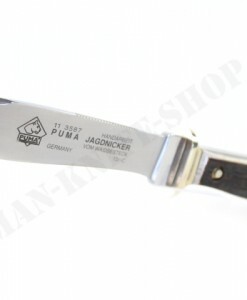 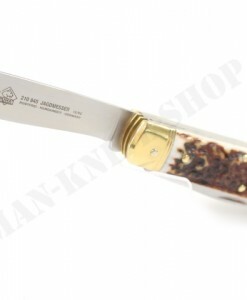 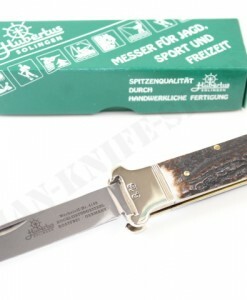 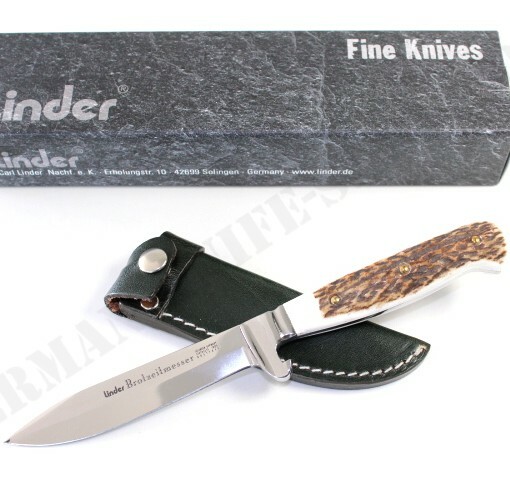 Fantastic German Linder bavarian lunch knife with drop forged 420A steel stainless blade. 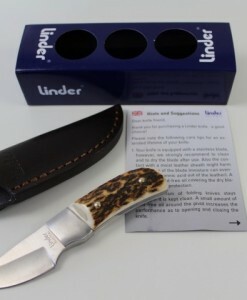 Integrated cap lifter. 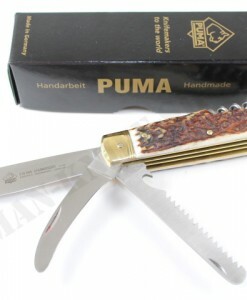 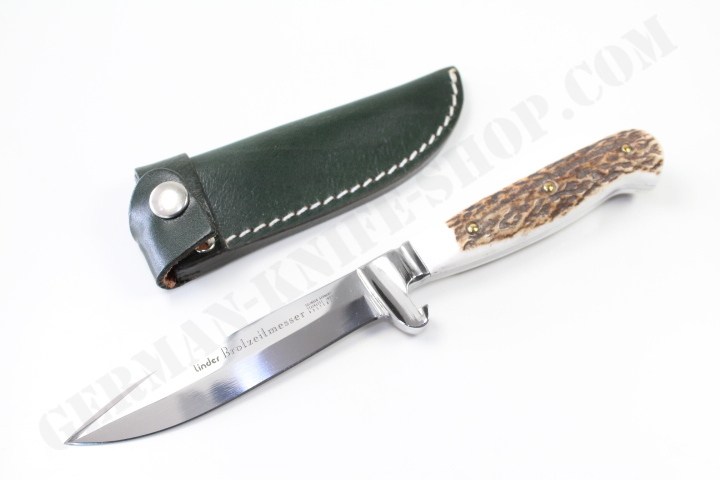 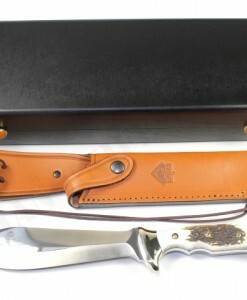 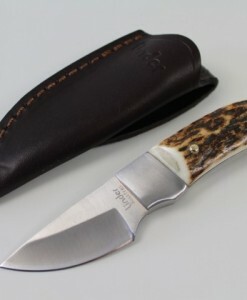 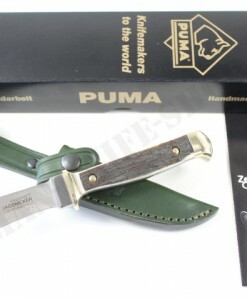 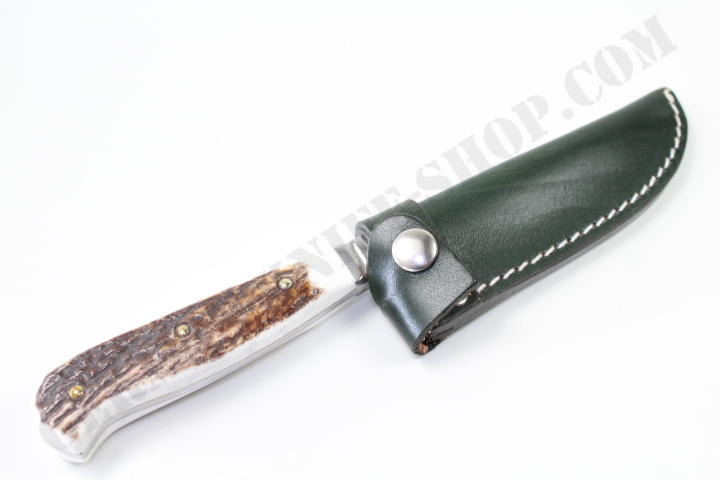 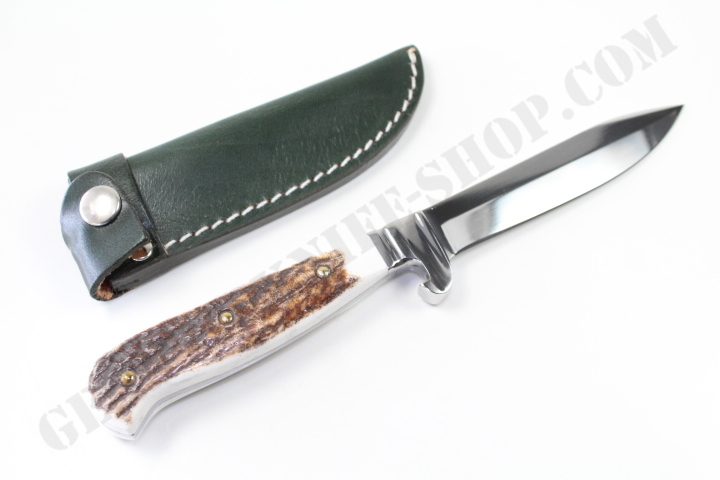 Genuine stag handle included green leather sheath.